There is a wide variety of digital cameras available that can shoot video. 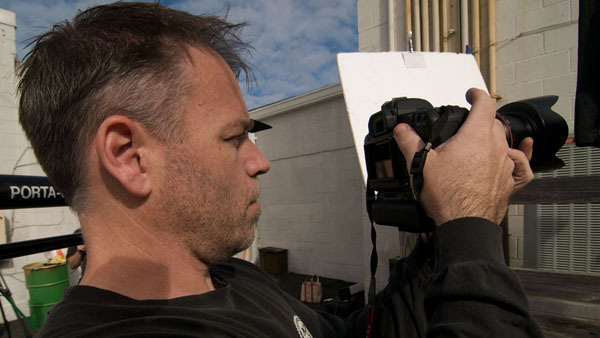 In this section, we’ll primarily explore the options available when shooting DSLR video. However the core technology discussed is also relevant to most video cameras being produced today. Which type of camera will work best for you? It depends to a great extent on the type of work you do. 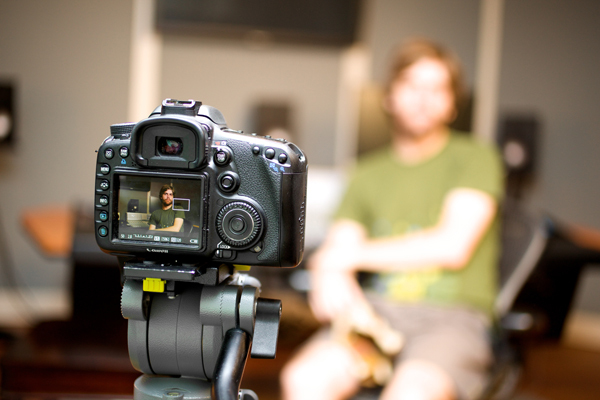 When should you use a video camera instead? Digital still cameras have recently gained a new feature: the ability to shoot high definition video. Still photographers are finding that clients are increasingly interested in having video to supplement stills since the Internet supports still and video media almost seamlessly. Having one tool that can shoot both is becoming a compelling feature. 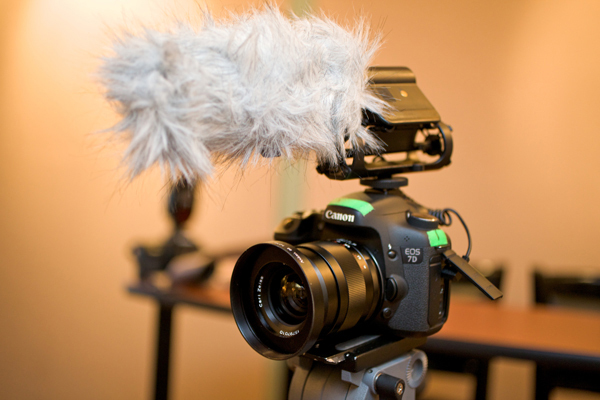 Dedicated filmmakers are interested in video-capable DSLR cameras because they feature relatively large sensors compared to standard video cameras. This lends a large format look (with shallow depth of field), and their interchangeable lenses provide a wide range of focal lengths. These cameras also have the benefit of better lowlight performance and more options for lenses when shooting. The goal when shooting video is very similar to digital photography: capture and achieve the best translation of the scene (from your vision) to a high-quality image. With video capture, there are several challenges to achieving a visually compelling and technically superior image. In the professional photography realm, this requires understanding all the choices and making appropriate decisions to the best match of image quality to workflow needs. As you start to look at the video features of a DSLR camera, it is very easy to succumb to marketing-speak confusion created by camera manufacturers. You may feel pressure to purchase the latest and greatest when it comes to video DSLRs. But the camera won’t be of much use if it doesn’t feel right in your hands or the sensor crop factor frames your subject in a way that’s objectionable to you. You can’t do much with the footage if the camera doesn’t shoot the frame rate or resolution that your project requires. Which video-enabled DSLR you choose is largely a matter of personal preference, but there are several factors to consider. Cost is always a consideration and it certainly factors into camera choice. The video quality captured on most entry-level DSLR cameras closely matches the top-of-the-line cameras. Where these cameras truly differ tends to be in still image performance. There are of course subtle differences, with the more expensive camera models often providing a greater level of manual control over camera settings. It is highly recommended that you balance your needs for video acquisition with still image quality. Many photographers have found that they can add a lower-cost DSLR video camera while continuing to shoot on their existing camera for still work. Additionally, many photographers will add lower-cost camera models for additional angles of coverage when shooting video. Extra, affordable, camera bodies let them leverage their investment in lenses. When shooting video, you are no longer freezing motion (but capturing it continuously). As such, vibrations or unwanted movement can impact the usability of your footage dramatically. How the camera handles and its physical feeling is an important part of choosing a video-enabled DSLR. Figure 2 How the camera feels in your hand is important when shooting video. If it’s uncomfortable, your footage will be shaky. Photo by Richard Harrington. When comparing cameras for shooting stills, it seems like the megapixel wars will never end. The use of megapixels is often used as an easy-to-understand “measuring stick” for image quality. While an 8-megapixel camera was considered high end just a few years ago, you can now find that resolution in a smartphone. When it comes to sensor resolution and video, don’t let the megapixel count influence your choice of camera body. For most, the DSLR camera will be used to shoot both stills and video. You will want to choose a camera body that meets the megapixel requirements of your still images and don’t worry about sensor resolution for video. Why, you ask? When shooting video on a DSLR camera, you’ll be using only a fraction of the available pixels on the sensor. Take for example the 21.1-megapixel Canon 5D MKII, which has a max resolution of 5616 x 3744 when taking still photos. When shooting video at 1920 x 1080, your effective megapixel count is only 2.1 megapixels! The area to be more concerned with is the size of the sensor. If a manufacturer tries to push the megapixel count to high on a camera sensor it can cause problems. As you increase the number of pixels on a sensor, the more tightly packed those pixels will be. Higher density sensors (a lot of pixels packed into a small space) can possibly increase noise that is visible in the stills and video of that camera. Another important factor for photographers to consider is whether the sensor is “full frame” or will crop the angle of view of the lens. When the digital sensor is smaller than the original format covered by the lens, the angle of view of the lens is cropped. When shooting video, you typically are not using the full sensor, but a cropped sensor will still impact your shooting style. For instance, standard 35mm format is 36mm x 24 mm in size. Many DSLR cameras have sensors that are 23.6mm x 15.7 mm, which is approximately 2/3 size. This results in a crop factor of 1.5. A 300mm lens on a 1.5 crop factor camera will have the same magnification of a 300mm lens on a full frame camera, but the image will be cropped to the same angle of view that you would get with a 450mm lens on the full frame camera. Figure 3 Manufacturers offer many different drop factors. A full frame sensor is often desirable, but cropped sensors also offer benefits such as a better balance of light when shooting with shallow depth of field. As you compare DSLR cameras capable of shooting video, there are two major options that will vary between manufacturers. There are two HD videos sizes (1920 x 1080 and 1280 x 720) and multiple frame rates. 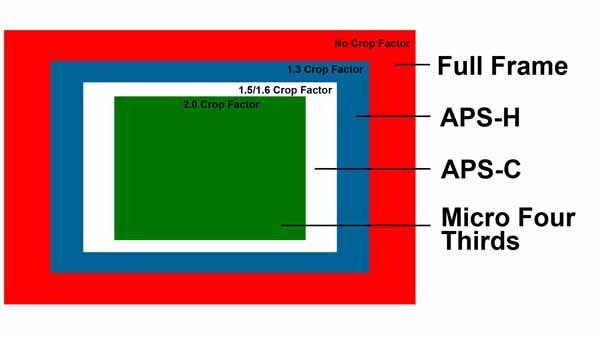 When evaluating a camera body, be sure to check out the maximum frame size the camera supports. 1920 x 1080: Choose a camera with a maximum frame size of 1920 x 1080 if you want the best resolution that HD video supports. You may also need this size if you’re doing lots of video projects for broadcast television. 1280 x 720: Cameras with a resolution of 1280 x 720 are capable of producing beautiful images. Although not the highest resolution, they are still considered high definition. Many lower-end and entry-level cameras with video features offer this resolution. Another feature to consider with a video-enabled DSLR is what frame rates it supports. Frame rates in use for video will often vary by country and broadcast standard. The most flexible cameras will offer these frame rates. 25fps: The common frame rate of video used in Europe and around the world that uses the PAL standard. 30fps (29.97fps): The most common frame rate for broadcast in the U.S., Japan and other countries using the NTSC standard. 60fps (59.94fps): A common frame rate for 720p HD video. It can be used to create slow motion video effects (a process called overcranking). Above 60fps: Anything shot faster than 60fps is typically used for slow motion playback. You’re probably used to looking through your camera’s viewfinder to frame a shot and then focus on a subject. The viewfinders and autofocus features of most DSLR cameras have dramatically impacted the shooting style of most photographers (due to how reliable the autofocus systems on modern cameras have become). In the world of video, autofocus isn’t really an option. While some manufacturers offer cameras that will autofocus, the racking through focus is unreliable at best and often creates unwanted visual distractions. This requires a manual focus approach for shooting video. Just look through the same viewfinder.... right? Unfortunately, not with video. When you shoot video with a DSLR, the mirror is up, blocking the viewfinder. You become reliant on the LCD panel in order to see what you are shooting. Since you’ll be using the camera LCD for framing and evaluating video focus, you need to be very discerning. Here are few simple criteria to use when choosing a camera body in terms of its LCD. Size: The larger the LCD dimensions the better. A larger LCD makes it easier to see your footage. The current crop of video-enabled DSLRs have screen sizes of up to 3 inches. Resolution: A large LCD is no good unless it’s also high resolution. Camera LCDs are measured in dots or pixels. A high number indicates a higher resolution and therefore more clarity. This is useful when viewing videos on the camera LCD. It is difficult to tell focus on a screen that lacks adequate resolution. Brightness: You’ll be viewing the camera LCD under different lighting conditions; therefore, you’ll want the brightest camera LCD possible. Many choose to supplement the LCD with a viewfinder or an external monitor to make focussing and exposure metering easier. As you evaluate cameras for shooting DSLR video, one of the most important factors is the format or codec the camera records in. Different manufacturers use different file formats (and may offer different choices within their own product lines). Let’s compare how video compression relates to still compression. When shooting stills, you can often choose to shoot raw, TIFF or JPEG. Raw files allow for superior latitude during post-processing since raw images are not permanently processed by the camera. At the other end of the spectrum, JPEG files “bake” a lot of information into the file, making it necessary to get the shot close to perfect at the time of capture. Your approach to exposure and white balance when shooting video should be similar to shooting JPEGs. Accuracy in-camera matters. It’s most important to avoid overexposure, since there’s no way to rescue blown highlights. But it’s also important not to underexpose, since making a video brighter also introduces noise. In the world of high-end video, raw video exists, but is often cost-prohibitive. It also adds significant increases in budget due to additional processing time and equipment requirements. When shooting video on video-enabled DSLRs, the video signal is heavily compressed in order to write the data to the compact flash or secure digital memory card. Some of these formats are more heavily compressed than others, so you need to think about the effect of each on overall image quality. H.264 is a video compression standard that’s based on the MPEG-4 standard. This is a widely popular video format used for a variety of devices including portable media players, Blu-ray discs, and even television sets. H.264 is a modern codec that offers remarkable footage with little loss of quality and minimal compression artifacts. H.264 has become a standard for high-quality web compression, but recently it’s also being utilized for high-quality acquisition. Currently, Canon cameras like the 5D MKII, 7D, and the Rebel T1i all record H.264-formatted video. Newer Nikon cameras like the D7000 and D5100 are also using the newer format. AVCHD is a very close cousin of the H.264 codec. Essentially, AVCHD is a brand name for H.264 encoding. Offering the same image-quality benefits as H.264, AVCHD is marketed by Panasonic and Sony, and video DSLRs like the Panasonic Lumix GH1 can use AVCHD to record HD video. Note that AVCHD has a complex folder structure for the video file and for associated metadata. While the video file itself can play without all the other stuff, some software applications will reject an AVCHD file if the directory structure has been altered. For years Motion JPEG has been a stalwart compression scheme. Motion JPEG is the oldest compression scheme that modern video-enabled DSLRs use. It has the lowest overall image quality but also allows for the most recording time since it is so heavily compressed. Besides small file size, another benefit of shooting Motion JPEG is that it is natively supported by several video-editing applications. Unlike H.264 and AVCHD, it is not very processor intensive, making it less demanding on your computer during postproduction. Currently, older Nikon video-enabled DSLRs record using the Motion JPEG codec. This is an older format that has quickly fallen out of favor. If your camera only supports this recording format, you are required to use it, and it may provide suitable quality. If purchasing a new camera, this format should be avoided due to its quality limitations. Your capture format has a number of other important characteristics that you need to understand when specifying and setting up for video capture. These include frame size, frame rate, and compression. We have written a thorough description of these characteristics in the Format section of the website. While DSLR video cameras are very capable, there are some times when it’s going to be better to use a traditional video camera. There are a number of functions that are either missing on DSLRs or are not well suited to the form factor. Here are some considerations that would make a traditional video camera a better choice. Faster custom white balance in changing light – Professional video cameras often have a dedicated button to set the white balance for the camera. Conversely this option is often buried in menus on a DSLR, and typically involves shooting a still photo first and then loading it for reference. Avoiding rolling shutter – A traditional video camera that uses a CCD sensor approach for capturing video is less prone to rolling shutter. This allows for faster panning and camera movement without seeing optical distortion in the frame. However many video cameras also use CMOS chips, so these are just as prone as DSLR cameras to rolling shutter.